The Kymco Super 4 is a medium sized mobility scooter that weighs just 84.4 kg. It also has a padded swivel seat that can be adjusted for height and leg length to ensure you find the most comfortable position on your journey. Price excluding VAT.(Incl. VAT £1,678.80) *VAT Relief available on this product. The Kymco Super 4 is a medium sized mobility scooter that weighs just 84.4 kg. 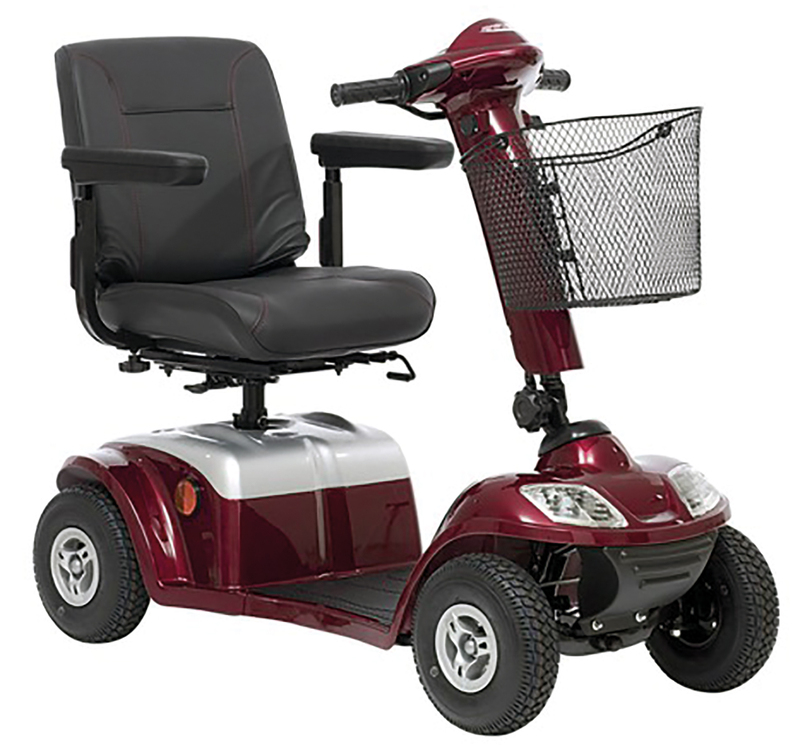 It also has a padded swivel seat that can be adjusted for height and leg length to ensure you find the most comfortable position on your journey. It also has a maximum range of up to 20 miles - great if you’re looking to travel a little bit further. To make this scooter as maintenance free as possible, there is a sealed battery to keep it away from the elements. Ride comfort is at it’s best thanks to the 10” pneumatic tyres which will carry you smoothly over pavements, paths, and even rougher terrain. The tight turning circle and small dimensions make this scooter surprisingly easy to use in tight space or crowded places. Simply adjust the steering column to find the most comfortable position for you. Once the optimum position is found, both beginners and experienced users will find driving the Super 4 a real breeze thanks to the simple controls and ergonomic handlebars. To keep you safe, this scooter comes complete with a full lighting package for optimum visibility whether using during the day or at night. The Kymco Super 4 provides the manoeuvrability of a compact scooter with the power and performance of a much larger model. A fantastic choice for trips to the shops or for those longer more challenging days out. This model is available in two colours: Glossy black and Cherry red.